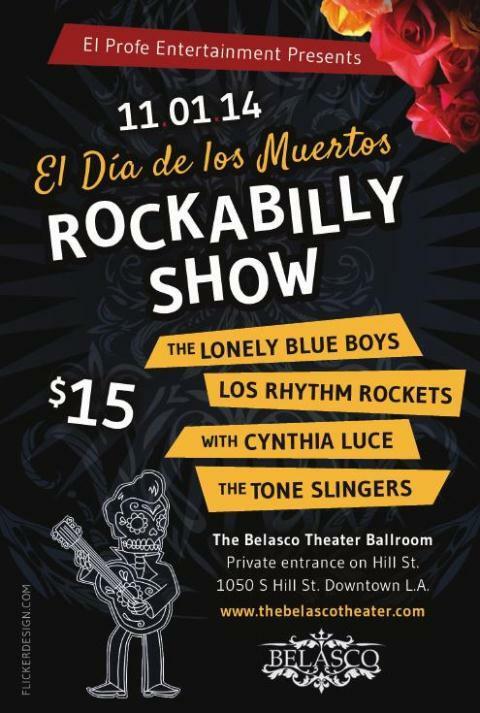 Lonely Blue Boys - Musica L.A.
Rockabilly type music - R&B/ Doo-wop band; The Lonely Blue Boys is made up of the Vargas family. "Uncle" Ernie Vargas, Alex "Avar" Vargas, "Lil" Ernie Vargas. Uncle Ernie Vargas & older brother Albert Vargas are veterans of the 60' s Chicano music scene. Their nephews and sons are picking up the tradition with great vigor. Rockabilly is one of the earliest styles of rock and roll music, dating back to the early 1950s in the United States, especially the South. As a genre it blends the sound of Western musical styles such as country with that of rhythm and blues,leading to what is considered "classic" rock and roll. Doo-wop is a genre of music that was developed in African-American communities of New York City, Philadelphia, Chicago, Baltimore, Newark, Pittsburgh, Cincinnati, Detroit, Washington, D.C. and Los Angeles in the 1940s, achieving mainstream popularity in the 1950s and early 1960s. Built upon vocal harmony, doo-wop was one of the most mainstream, pop-oriented R&B styles of the time.